Serious issues have been raised by the plan for the ‘Garden Bridge’ from near the Oxo tower on the South Bank to the Temple tube station on the north. Michael Ball a local resident and community activist in Lambeth has bravely challenged the decision to grant planning permission, and has been granted his request for a judicial review of the decision. Please support this important community action to have the decision reviewed. The case will be heard in June 2015. Sign petition: http://goo.gl/DtdwLr More info: http://tcos.org.uk/. Date: Wednesday 11th February – 6.30pm to 8.30pm. Venue: Treasure House, @ former Livesey Museum, 682 Old Kent Rd, SE15 1JF. Parks and green spaces are an essential and unique resource and service, vital to every local community and serving a wide range of important needs for people of all ages and interests. However, the June 2014 ‘State of UK Public Parks’ report documented the alarming slide into a long-term crisis being caused by the underfunding of the UK’s parks. We are now at a tipping point. It is up to all those who know and care to raise their voices together. The inspirational rise of the Friends Groups movement over the last 15 years (with now over 5,000 groups), and the hard work and expertise of green space staff, managers and professionals, has demonstrated the commitment of the public and all those who love parks. We believe that there must now be an equivalent recognition and commitment from the political parties and the next Government in 2015. Let’s make this an election issue. In spite of the torrential rain twice, we had an enjoyable time at Brimmington Park Festival on Saturday. 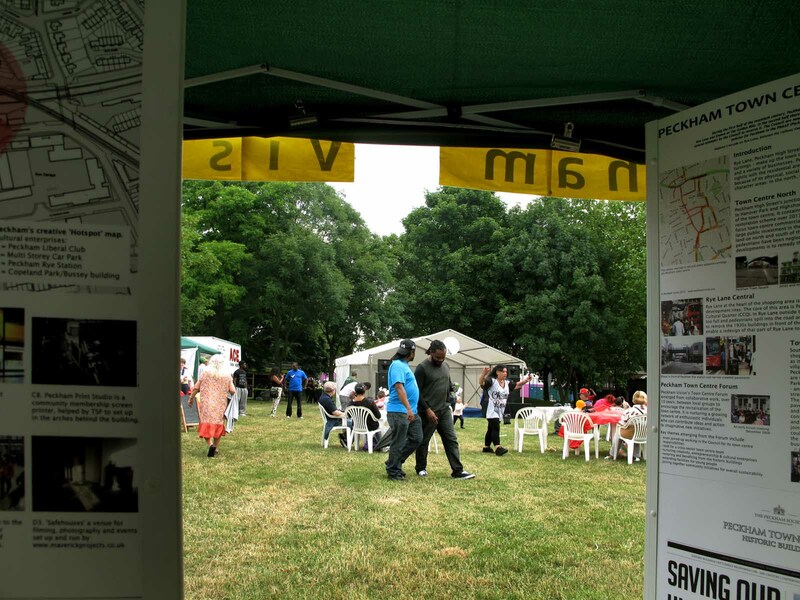 Lots of visitors, and keen interest in our exhibition information about Peckham town centre. This stimulated as usual much useful discussion. Interesting festival activities, and stalls covering a wide range of interests, and local small businesses and groups. * Admission – Combined adm £7, children free (share to …Terrence Higgins Trust & CoolTan Arts). * In 2013 these events raised £2,128 for nursing and caring charities. * Refreshments – Home-made teas at No 4. Six very attractive gardens open in this small, elegant square of 1840s listed villas. Each approx 90ft x 50ft has its own shape and style as the Square curves in a U shape. Read more: http://www.ngs.org.uk/gardens/find-a-garden/garden.aspx?id=19213. The event is organised by Camberwell Arts. They say: “We are pleased to invite you to our 20th anniversary tea party – hosted in partnership with inspirational local charity Ronald Mcdonald House Camberwell. Join us on Sunday 15th June from 2-4pm for art, cake and party games – and find out more about this ‘home from home’ for families with children being treated at Kings College Hospital. 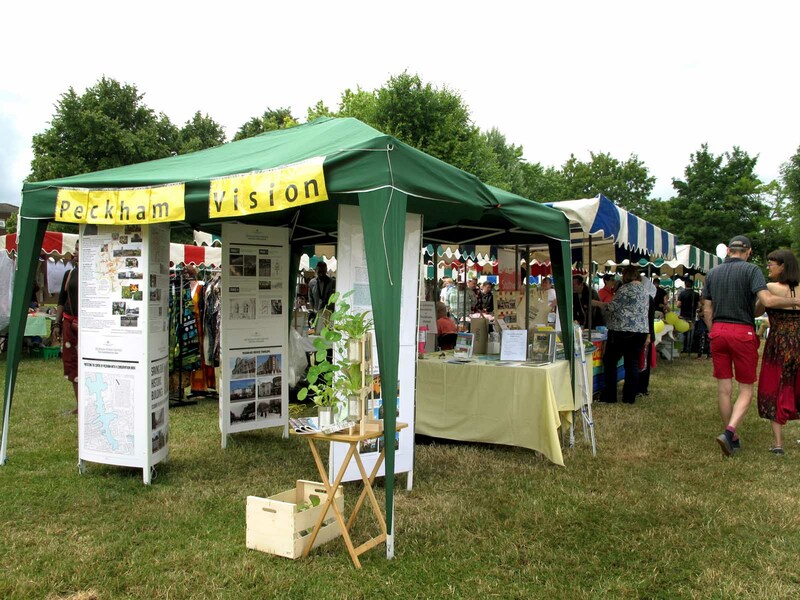 From Peckham Vision Facebook: Are you a musician, performer, artist or craftsperson? Friends of Brimmington Park, Asylum Rd, SE15 are looking for local people who would like to participate in their community festival on Saturday 28 June. There is also room for stalls at the event. 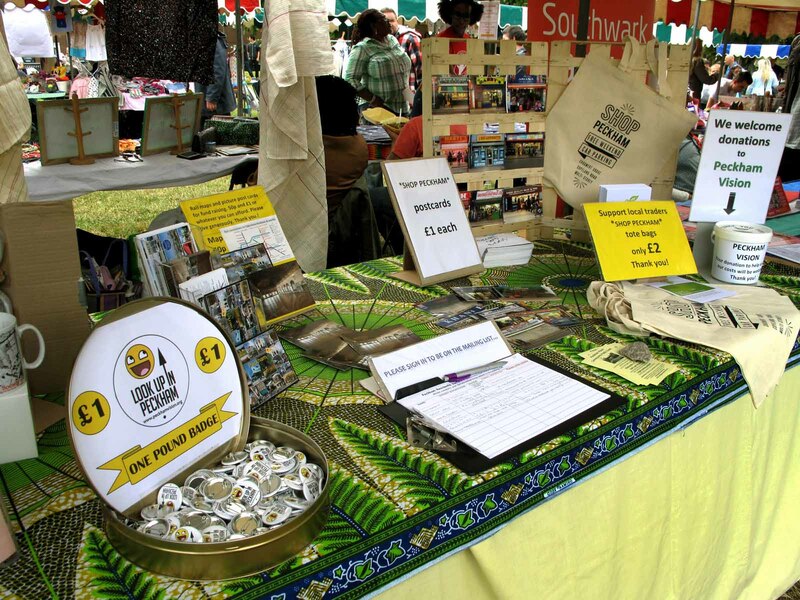 Perhaps you are a community group who would like to promote their services or fundraiser, a local resident who would like to sell home made goods or bric-a-brac, or a local small business/craftsperson/designer-maker with interesting products to promote. 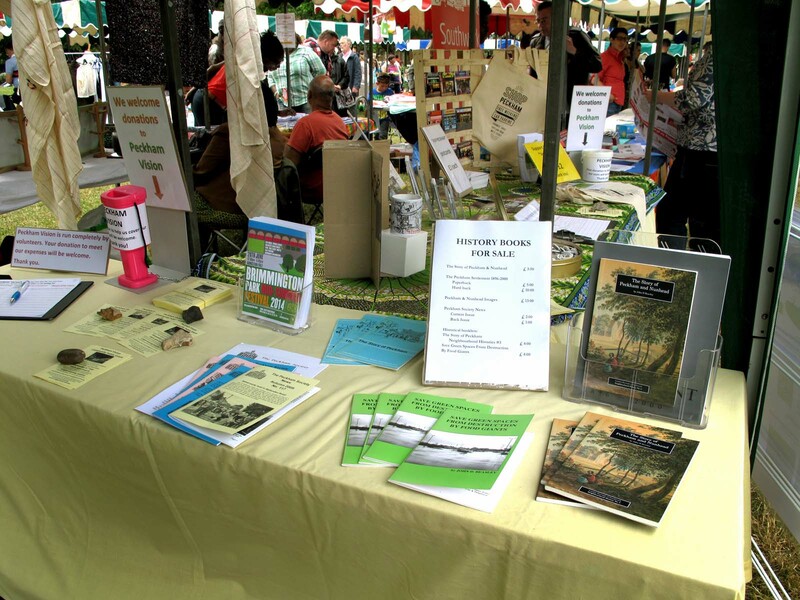 If you are interested in taking part or booking a stall please download a booking form from the website http://www.brimmington-green.co.uk All bookings to be made before 7th June 2014. They are looking for more bric-a-brac, crafts, plants, etc stalls but others welcome too. If there is space they will accept those who book after the deadline but ideally for planning purposes the sooner the better for any bookings. There is also opportunity for local performers to showcase their work and contribute to the general relaxed ‘vibe’ of the Festival.